Verizon’s 5G network is scheduled to launch on April 11 in select parts of select cities. Before that happens, they kind of need a device that can access it, right? 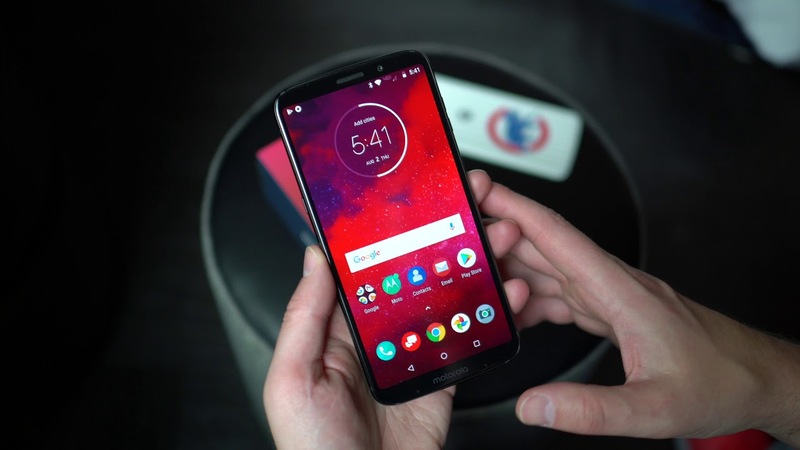 The Moto Z3 is supposed to be that phone, except we are pretty sure it needs to be updated to Android Pie before it’ll be 5G ready. Thankfully, that update is rolling out right now. 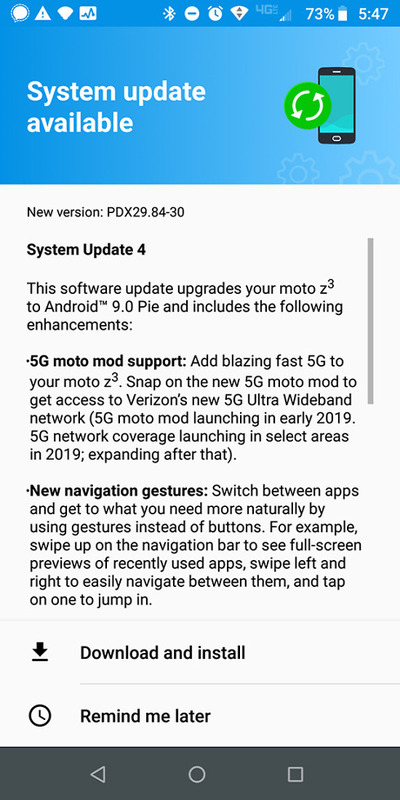 The Moto Z3 on Verizon is getting its big Android Pie update as build PDX29.84-30 and it does indeed include 5G Moto Mod support. This is the update that we first learned about back in January, though we aren’t sure what took it so long to show up. As long as it beat Verizon to network launch, I guess it doesn’t matter. The update should include our favorite Android Pie features, like a refreshed notification panel, Adaptive Battery and Brightness, performance improvements, updated app switcher UI, improved volume controls, improved notifications, text zooming, etc. Z3 owners could get Android Pie’s pill-button navigation too, but owners will have to confirm that for me, since Moto already had their own gesture support that was better than Google’s. With 5G Moto Mod support, the changelog simply states that support is here for when Verizon’s new 5G Ultra Wideband network goes live. Again, we know that to be April 11 in Chicago and Minneapolis to start. Verizon plans to spread out to 30 cities before 2019 ends. If you own a Moto Z3, go get your Pie update! UPDATE: Verizon posted the changelog this evening, spilling the rest of the Android Pie details for the Moto Z3. Verizon doesn’t mention 5G at all, but the screenshot above clearly does.